Dr. Igor Tetko (coordinator) obtained MSc degree (with honor) from Moscow Institute of Physics and Technology (MIPT) and PhD in bioorganic chemistry from the Ukrainian Academy of Sciences (1994). He did his postdoctoral study in the University of Lausanne in neuroinformatics. 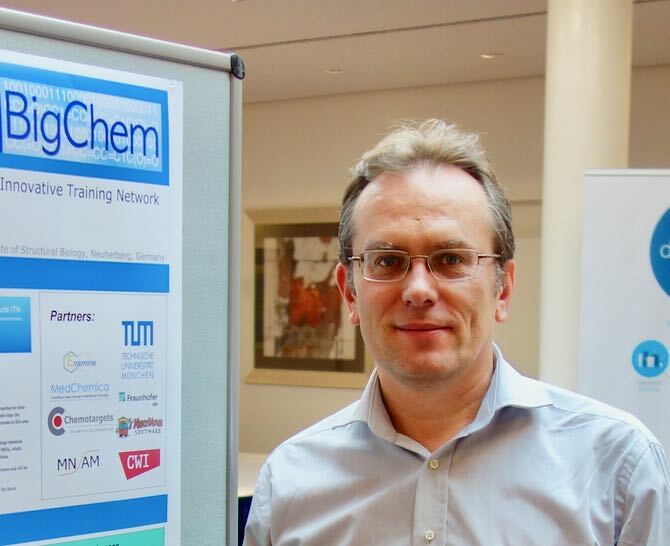 Since 2001 Dr. Tetko is employed at Helmholtz Zentrum München, where he is Chemoinformatics group leader at the Institute of Structural Biology. He is also CEO of BigChem GmbH, which provides informatics solution for big data analysis in life sciences. In 2011 he completed H.D.R (habilitation) in chemoinformatics from the University of Strasbourg. Dr Tetko co-authored more than 150 publications in chemoinformatics, bioinformatics, neuroinformatics, computational chemistry, environmental toxicity and machine learning. He was group leader in several international projects (FP7 CADASTER, NATO, INTAS-INFO, etc.) as well as coordinated Virtual Computational Chemistry Laboratory (VCCLAB) and FP7 Marie Curie ITN “Environmental ChemOinformatics”. Dr. Tetko received national GO-Bio BMBF awards (2006 and 2011) and was founder and CSO of eADMET GmbH company. His current research interests include development of computational tools for computer-aided drug discovery and life sciences.